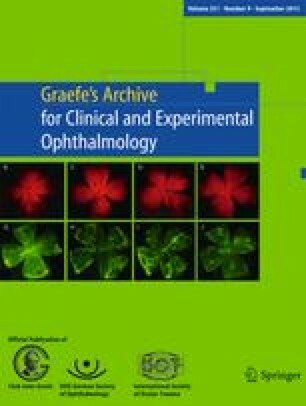 Basic fibroblast growth factor (bFGF) has been suggested to mediate activation of Müller glial cells in the ischemic–hypoxic retina. However, the intracellular pathways activated by bFGF in human Müller cells have been little explored. We characterized the signaling transduction pathways which are involved in the control and growth factor-evoked proliferation of a recently described human Müller cell line, MIO-M1. In addition, we investigated whether bFGF evoked the release of vascular endothelial growth factor (VEGF) and hepatocyte growth factor (HGF) from the cells. The growth factor-evoked proliferation of cultured MIO-M1 cells was estimated by means of a bromodeoxyuridine immunoassay, in the absence and presence of blockers of mitogen-activated protein kinases (MAPKs) and of the phosphatidylinositol-3 kinase (PI3K). The activation state of the p44/p42 MAPK was determined by Western blotting, and the bFGF-evoked release of VEGF and HGF was evaluated by ELISA. bFGF evoked a concentration-dependent increase of the cell proliferation, with an EC50 of ~1 ng/ml, via activation of both the p44/p42 MAPK and the p38 MAPK. In contrast, the mitogenic effects of the platelet-derived and the heparin-binding epidermal growth factors were dependent on p44/p42 MAPK activation and independent of activation of p38 MAPK. The transforming growth factors β1 and β2 also evoked cell proliferation which was independent of activation of the MAPKs investigated. bFGF evoked a release of VEGF and of HGF by the cells; these effects were independent of MAPK activation and were possibly mediated by activation of the PI3K signaling pathway. bFGF evokes multiple intracellular signaling pathways in human Müller cells which underlie the gliotic cell responses upon ischemic–hypoxic insults in the retina. Beside the stimulation of cell proliferation, which is dependent on activation of p44/p42 and p38 MAPKs, bFGF induces the secretion of VEGF and HGF by Müller cells. The authors thank Mrs. U. Weinbrecht and F. Kutzera for excellent technical assistance. This work was supported by grants from the Deutsche Forschungsgemeinschaft (Ko1547/4-1; Br 1249/2-1).